Naughty or Nice Christmas Packages! Naughty Package includes 60 minute custom massage and a 60 minute custom facial for $120. 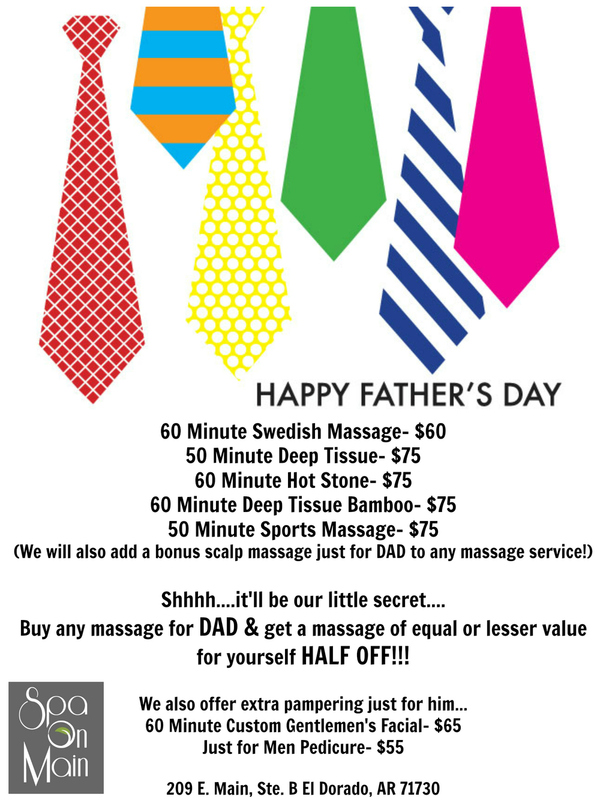 Nice Package includes 30 minute custom massage and 30 minute custom facial for $80. Peppermint Platinum manicure and pedicure combo for $65. The ultimate gift! Includes 60 minute massage, 60 minute facial, spa lunch, pure bliss manicure and pedicure, foot detox, and make-up application for $230. Spa on Main is celebrating the grand opening of the Murphy Arts District! Find us on the Square and at MAD during Musicfest for festival hair, makeup, and chair massages! Need to refresh and re-hydrate tired skin? Murad's Age Reform Mask is a dual-phase system that gently exfoliates and intensely hydrates for a youthful glow. Lactic and glycolic acids smooth the skin and hyaluronic acid replenishes the skin to visibly reduce lines and wrinkles while sealing in moisture. Includes a cooling stone massage. Check out Vivids Mood Color video below! THE HEAT IS ON! VIVIDS MOOD COLOR- Starting at ONLY $10! FIRST-EVER heat activated temporary hair color pigments that transform hair with an out of this world effect! Ready for color changing hair? Instantly add pops of color and watch the transformation happen right before your eyes! This rockin hot stone massage includes hot towels & aromatherapy for your relaxation. 50 minute Swedish massage & 50 minute European style facial. Pure Bliss Tammy Taylor manicure/pedicure that includes a decadent leg, foot, arm and hand massage. Enjoy a relaxing hair facial with GK conditioning treatment & hair style. This full set of gorgeous Novalash eyelash extensions includes a firming Murad under eye treatment. Smooth things over with a Brazilian wax. Your choice of any 2 of the above gets you an additional 10% OFF! Your choice of any 3 or more of the above gets you an additional 15% OFF! Spa On Main's Christmas Specials & Packages! Hunting for a Cure in November! Spa On Main will donate $5 from any of these services purchased to the Team Corrie Cancer Foundation through December 7! Makes a great gift! You may purchase these as a gift certificate! Nova Lash Special! $50 OFF!! Our Valentines specials will run now through February 14th. Gift cards may be purchased in our spa, over the phone or online. Enjoy a 60 minute custom facial featuring Murad's Hydro-Dynamic Quenching Essence treatment & Hydro-Dynamic moisturizer which will leave you skin feeling silky & supple. Join us in the Zen Den at Spa on Main with instructor Roz Jeffery for December yoga! Our strength and stretch class is designed to build strength while sculpting long, lean, and flexible muscle. Our Power Yoga class is designed for those that want to bring fitness into their yoga routine, be prepared to work up a sweat! The Restorative yoga class is great for beginners and uses props to help open up your body! Private and private group classes are available by appointment. Purchase the gift of pampering and relaxation for your loved one this holiday season! Gift cards are available for purchase in our spa boutique or by phone. We can conveniently email your gift card to be printed right from your work or home. Just call 870-863-SKIN. Meet & Greet with America's Next Top Model Contestant, Lacey Rogers! Yoga at Spa on Main! Pre-Prom at Spa on Main! Sadie is sporting a flawless tan by South Seas Spray Tan! Spa on Main is your one-stop-shop for all your PROM beauty needs! A Blowout Special, just for you! Schedule a BLOWOUT this week and get a free bareMinerals makeover, only $20! We know life isn’t just about the occasional gala event, so we are open 7 days a week; come in before a coffee date, a work meeting, or just to start your week off right. Choose from any of our 5 styles or create your own! A relaxing shampoo & scalp massage using Amika products is included! Call now to schedule your appointment! 870-863-SKIN.